Info on the exact origin of this strain is hard to come by, but it is believed to be a product of KC Brains’ Mango and a type of Hindu Kush which added flavor and resilience to this brand. It is valued for its great taste and mild effects. It is a good strain for relaxation. 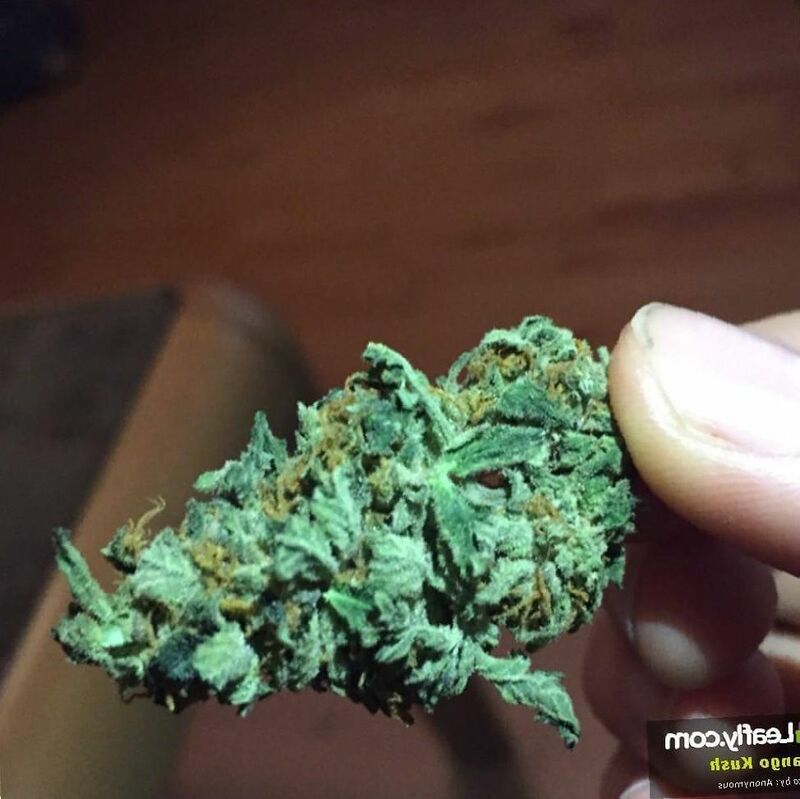 May Relieve Mango Kush weed is a balanced Indica which can be used for a variety of ills because it has a mild effect and will not cause a great loss of productivity. One can use this weed for mood control, to treat anxiety and depression as well as symptoms of bipolar and ADHD. Indoor/Outdoor Yield In an indoor environment, you can get a yield of about fourteen ounces of Mango Kush marijuana for every square meter of space in which you are growing your weed. Outside, in the right environment, you can come away with 16 ounces per plant of Mango weed. Flowering time Mango Kush cannabis plants growing indoors will flower in eight or nine weeks. Harvest Mango Kush cannabis’ harvest will be around the middle of the month of October. Disease resistance Like any good Kush, Mango Kush has strong resistance against pests, mites, parasites, viruses, fungi, and other causes of damage to crops. Plant Height Mango Kush plants are short, coming up to about 30 inches tall. Adverse effects The Mango Kush marijuana is a Kush and an Indica. It can cause sedation, making it inadvisable to operate heavy machinery under the influence of the medication. It can cause sleepiness and slumber. Mango Kush is a cross of Hindu Kush and Mango produced by KC Brains. It is noted for its delicious mango flavor. Much of the origins of how these two parents came to be crossed and developed is unknown. But, as Mango Kush appeared on the scene, users fell in love with its ability to produce sedation and relaxation with very few side effects. Mango Kush is a short plant, standing less than thirty inches tall. The dried buds have a typical appearance. 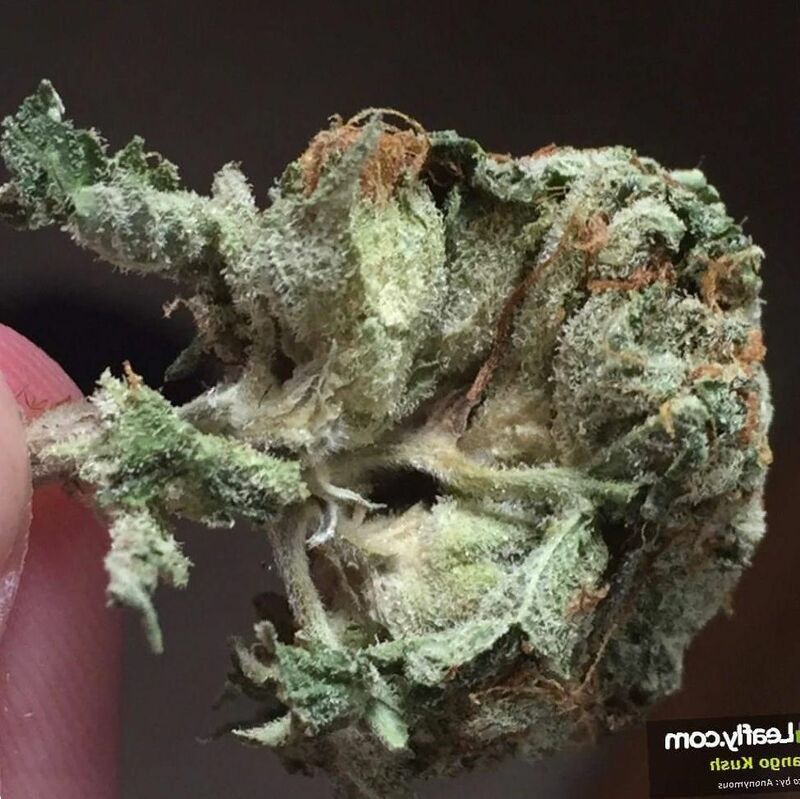 The cured bud is compact and bouncy when you press on it. You can see the dark green and light green of the buds through the screen of frosty trichomes on the plant. Also, orange hairs dot the plant, advertising its health and lack of being tampered with. The smell of Mango Kush is its selling point. It smells of mango and it’s easy on the inhale and exhale. You will have a smooth smoke without too much coughing and it will smell like you are also whipping up a tropical salad or ambrosia. There are also hints of earthiness, the Hindu Kush valley with mountain, stream, rock, and nature. You can smell the pine from the chlorophyll of the healthy plant. It gives one a meditative effect. Growing weed from Mango Kush cannabis seeds or cuttings is said by cultivators to be fairly easy. 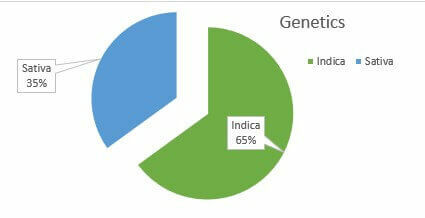 It’s a strong Indica and a descendant of Hindu Kush. Hindu Kush is the natural, wild version of the Kush lineage, straight from the mountains, able to grow on its own like a weed. Though it began to be cultivated a very long time ago in this region, it was always able to mate with wild species and thus retain its hardy nature. You will need a spot with good organic soil or to mimic such an environment indoors with a tent with reflective lining and powerful lamps to mimic the environment of powerful sunlight and crisp mountain air. You can induce flowering in these plants after eight or nine weeks. Growing this weed indoors, you can get about 14 ounces of tasty weed for every square meter of growing space. Outdoors, you need an environment that gets a lot of sun. This weed will grow with a minimal amount of care. You can expect to come away with 16 ounces of weed per plant, around the middle of the month of October. Mango Kush is an Indica with about 11 to 20 percent THC levels. 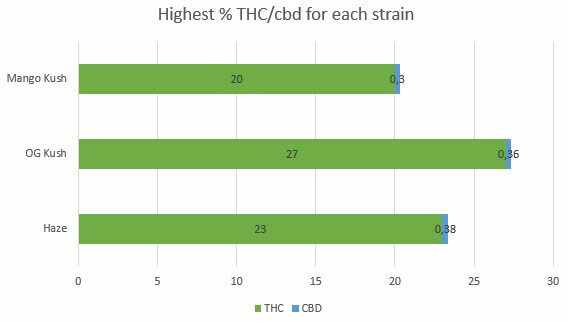 These are fairly mild levels for a medical grade weed. Therefore, you can really use this weed for any ailments involving pain or mood disturbance, because you are unlikely to run into many side effects. Particularly, you can use this weed to improve mood disturbances in cyclothymia, bipolar, anxiety, and depression. The effects last about one or two hours. Therefore, if you don’t like the effects, you only have to wait a few minutes for it to be over. This is a good weed to experiment with for those who are not sure if medical marijuana will help their condition. The fruity taste also makes it a good weed to use in edibles recipes. 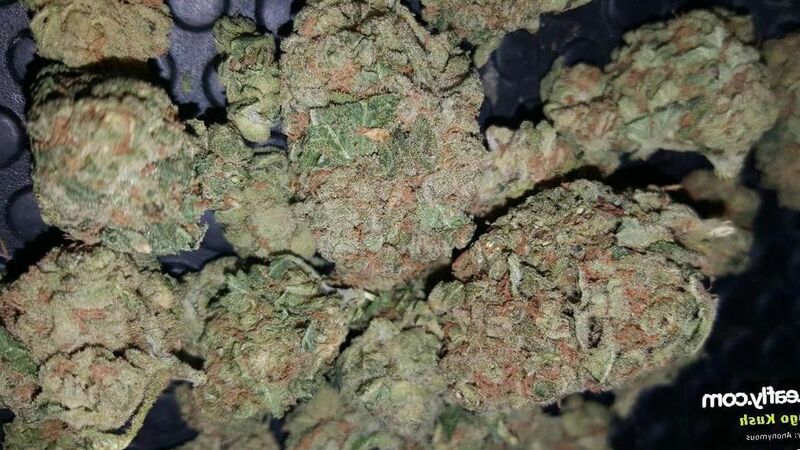 Mango Kush can also be used for mild to moderate pain. It will relax muscles and calm over-active nerves. This makes it a good choice for muscle pain in polymyositis, dermatomyositis, fibromyalgia, Multiple Sclerosis, and other causes of muscle pain. Mango Kush is also a great night cap to help you get to sleep. It will lull you to sleep like a night-time bed story or a lullaby, rather than knocking you out like a stronger Kush. 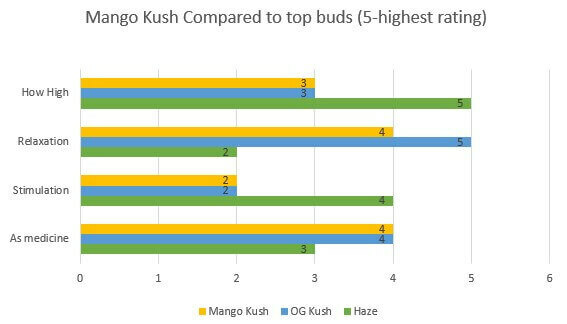 Mango Kush shines in its taste. This is a great weed to share with friends. You can share this weed also with the inexperienced without worrying they may have a panic attack or become paranoid. This weed is mostly relaxing. The effects last about two hours so you will have some residual pain relief but you will be able to get right back to work or other activities. In essence, this is a mild, flavorful weed. It’s pure fun and not too overwhelming.